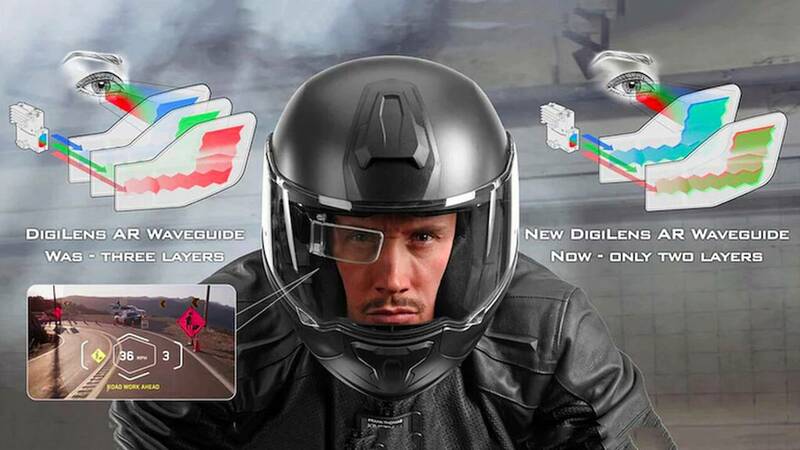 The heads up display segment in the motorcycle industry has been a rocky one to say the least. Nobody has been able to launch a HUD and successfully remain profitable for very long, though this time with Sena and DigiLens we have reason to believe it might be different. 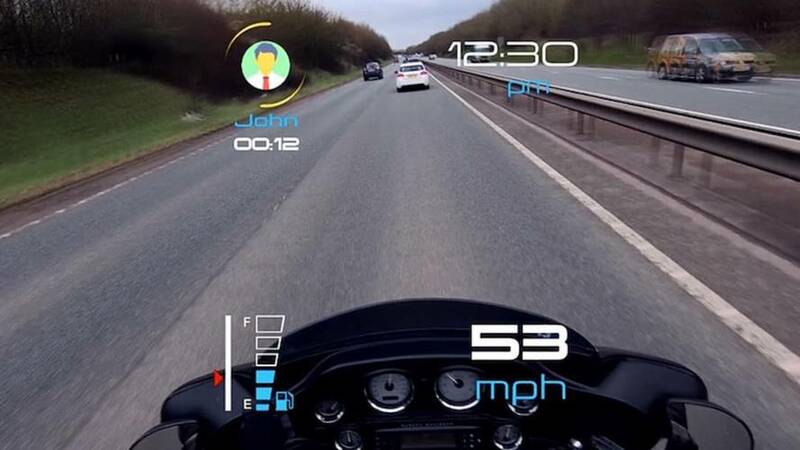 On top of the companies’ tech being better than previous existing offerings, Sena and DigiLens have found a way to produce their new HUD for cheaper, lessening one of the biggest roadblocks preventing more riders from buying one of the trick glass units. Sena is one of the biggest motorcycle comm system outfits on the planet, with solid products that have earned a positive reputation amongst riders. So, if Sena attaches its name to a product, it will carry far more weight then if a no-name startup were to. 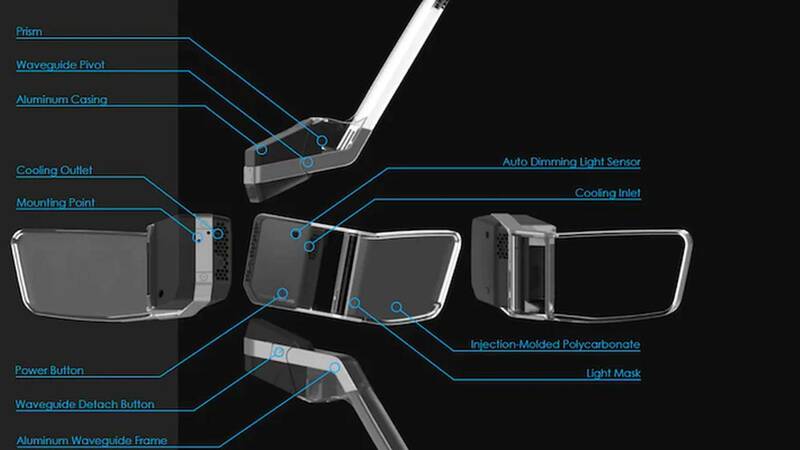 DigiLens is another heavy hitter in the tech world. In 2017 the company closed a $22M Series B, and then recently DigiLens just secured its Series C round at $25M. So with all that cash to toss around, it’s unsurprising to see that DigiLens actually released a new HUD offering known as the “MonoHUD”. The new HUD from DigiLens utilizes a pair of inkjet-coated lens layers which apparently makes the glass pieces crystal-clear while boasting ridiculously bright and vivid colors. The HUD has a 640 x 360-pixel AR display offering a 25 degree field of vision around the wearer’s eye. DigiLens has intentionally developed this proprietary tech for use in the motorcycle sector, too. The new HUD’s updated tech reportedly allows for improved contrast and brighter colors at night, while still offering bold and easy to view info while in the sun. Sena already has its own helmet line, so it makes sense on multiple levels that the comm system outfit would be an appealing partner for DigiLens. 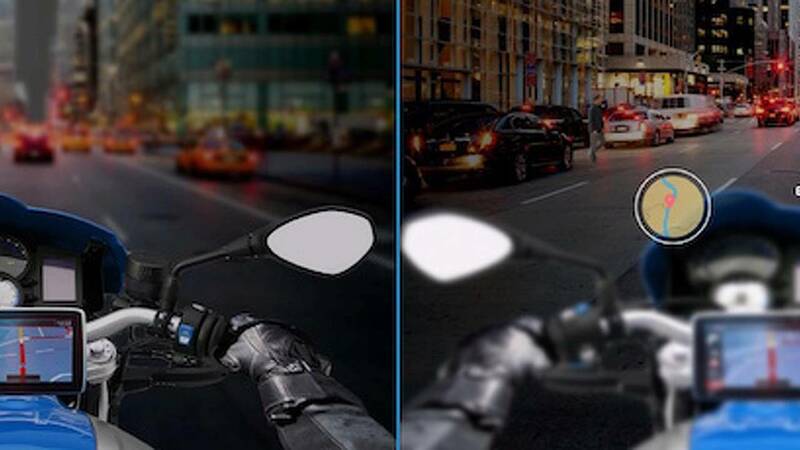 DigiLens also recruited the tech company Young Optics to join in on the new moto HUD project. The new device is basically what you’ve come to expect from a HUD; it displays speed, calls/texts, music, GPS directions, road warnings, etc. The latest generation HUD is however lighter, thinner, and can be produced at a lower cost. DigiLens is also utilizing an inkjet coating process on the new units that is said to be more efficient and, again, cheaper than the previous gen’s. "The increased quality of the two-layer display and the reduction in manufacturing complexity is crucial for our customers," stated DigiLens CEO Chris Pickett in a statement. "It lowers the production costs and allows them to get product to market quicker. We are already seeing several innovative use cases like motorcycle HUDs and are seeking developers to show us what's next." Below is a cool little promo video DigiLens made showing off the new MonoHUD.